Spanish NT boss Julen Lopetegui will take over the Real Madrid managerial role vacated by Zinedine Zidane for next season. 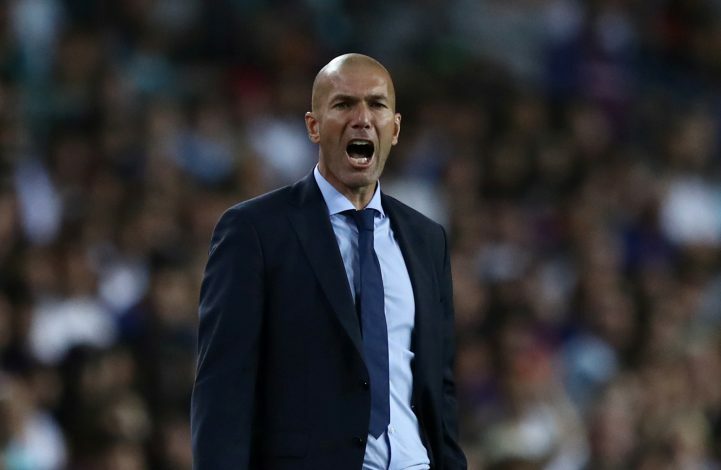 Zinedine Zidane shocked the world when he announced that he would leave Madrid just 4 days after completing a hat-trick of Champions League titles. The former French International suggested that the club needs “a different voice” to succeed. President Florentino Perez reportedly considered a number of options, with Jurgen Klopp, Antonio Conte, and Mauricio Pochettino said to be the frontrunners for the job. Former players Michel and Michael Laudrup were also in the running for the hot seat. But Real Madrid have decided to go with Julen Lopetegui out of the blue. The Spanish tactician is in Russia at the moment, as he looks to help Spain win their second World Cup title. Lopetegui, who played as a goalkeeper, started out his professional career at Real Madrid Castilla. After making 61 appearances for the B team, he was called up to the first team, where he made only 1 appearance. He went on to play for Logroñés, Barcelona, and Rayo Vallecano, competing in 317 matches through his career. He then returned to Madrid once again, and joined Castilla as the new manager in 2008. After spending one season with them, he received a call to join the Spain U19s. In subsequent years, he moved up the ladder and managed the U20 and U21, before leaving for Porto in 2012. At the end of EURO 2016, Vicente Del Bosque stepped down as the Spanish manager, and the reigns were passed on to Lopetegui. Real Madrid have made a great choice by going with Lopetegui, who is yet to lose a game as the manager of the Spanish national team, and will be hoping to continue the same form in the World Cup. Lopetegui’s first duties as Real Madrid boss will be convincing Gareth Bale and Cristiano Ronaldo to stay at the club. It will be interesting to see if he can help Los Blancos break the La Liga dominance of Barcelona.